Home / Editorial / Ghostbusters Remake Wasn't Made For You...Or Was It? Ghostbusters Remake Wasn't Made For You...Or Was It? 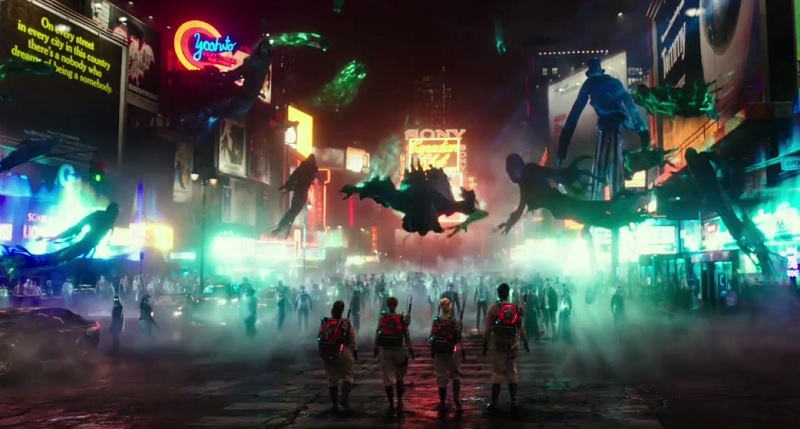 Paul Feig has released the Ghostbusters trailer and, to no real surprise, it's getting trashed. Now is this a warranted response or are fanboys of the original two just bashing the movie because this is "ruining their childhood"? 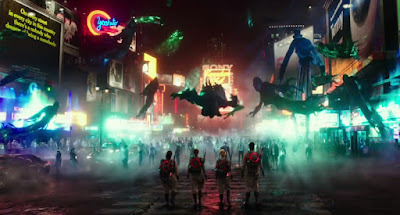 I have managed to not write about the Ghostbusters movie until now because A) I'm not going to hype up or trash a franchise remake without seeing a trailer and B) I would rather write about something else, not speculation pieces based on a set image. But today Feig dropped the trailer and now I feel I can determine where I stand on the final product. First let me explain that this remake is not geared towards fans of the film franchise, but it is geared more towards the fans of the cartoon series and a very younger audience in general. Usually this would be a deal breaker but, in some weird way, this is kinda their 'IN'. 2. Why did or didn't you like it? 3. Do you want to go see it? 4. would you rather watch this or the original right now? 2. It had more ghosts just like the cartoon. 4. This one because it is newer and has tons of cool ghosts. 4. Ghostbusters we have....(sees other trailer) can we watch the angry bird movie? Well, the response I got wasn't what I expected but it makes sense. After watching the trailer a few times I see what my oldest sees, a live-action adaptation of the cartoon series. It was at this point I brought in my wife and she (doesn't have a favorite) had the same responses as my oldest. More ghosts, newer stuff, looks kinda funny and so on. The results say this: This adaptation is aimed at a much younger audience (my youngest is just an anomaly) and, to some extent, the people who enjoyed the cartoon series. So if you go in thinking of it as a Ghostbusters remake, you're not going to like it. But if you look at it as a adaptation of The Real Ghostbusters cartoon series then you might enjoy the flick. Now, me personally, I find it okay, I don't hate it but I'm not in love with it. I like how it has the tone and feel of the cartoon and the cast is comprised of three of the funniest girls from SNL, but I would have liked to see a true third Ghostbusters film. Even with the passing of Ramis it could have worked as a passing of the torch movie, but now that ship has sailed. So will this be a great entry into the franchise? Probably not, but it looks like it will be an acceptable one. And really it doesn't matter what I or you think because our generation had its time, now it's another generation's turn.